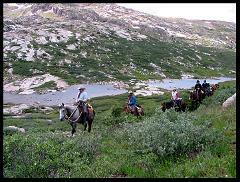 Join us for a 5 day horse supported Trek to our Lower Park Basecamp where we will climb Mount Sheridan and one or more of the other surrounding 13,000 ft peaks in the Florida Basin. Join us for a 5 day packtrip to our Lower Park Basecamp. 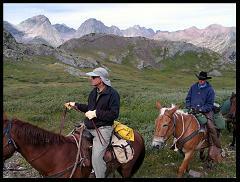 Join us for this horseback adventure of a lifetime as we ride the Continental Divide Trail from Silverton to Wolf Creek Pass. Join us for a 3 Day Packtrip at our Lower Park basecamp. 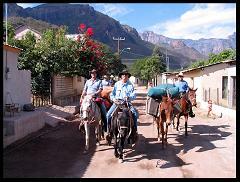 A true 'horseback trip back in time' where we submerse ourselves in Mexican Mountain Culture like no other trip in the world. 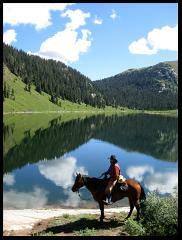 We stay with Mestizo families, eat their food and ride horses on their trails. You will never forget this trip. 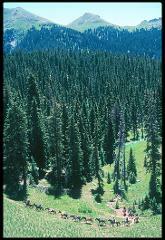 4 Day Pack Trip into the Weminuche Wilderness.